Moving chips is typically handled pneumatically or mechanically. 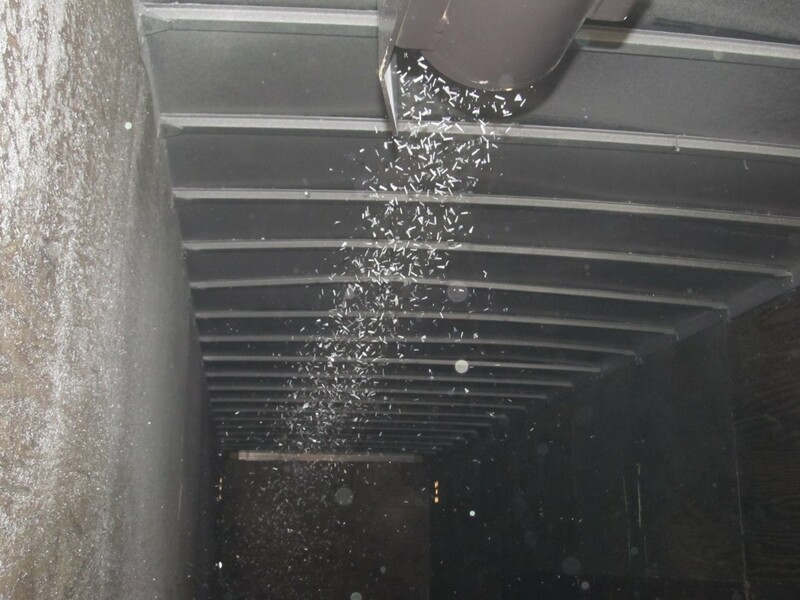 Pneumatic conveyors employ air to move material. Either positive pressure (blowing) or vacuum (sucking) can be used. Often the pressure created by the wringer can be used to power the conveyor. 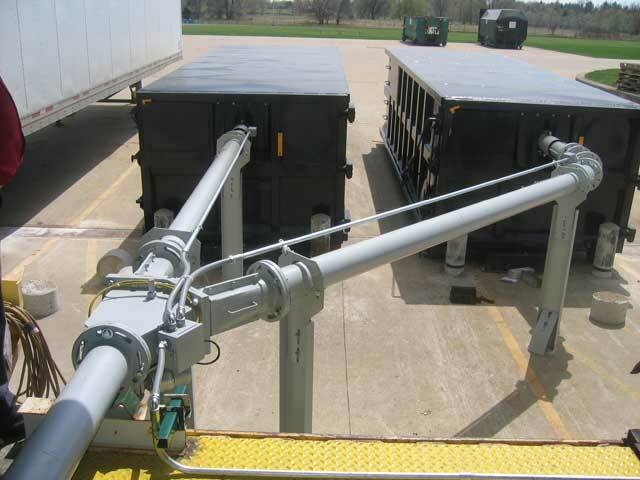 Pneumatic conveyors are typically installed overhead.